Luke, Juanita (Luke's mum) and myself are going on a working volunteer holiday to Tanna Island, Vanuatu in May 2017 to help distribute medical supplies, conduct free health clinics, and educate locals on various health topics. 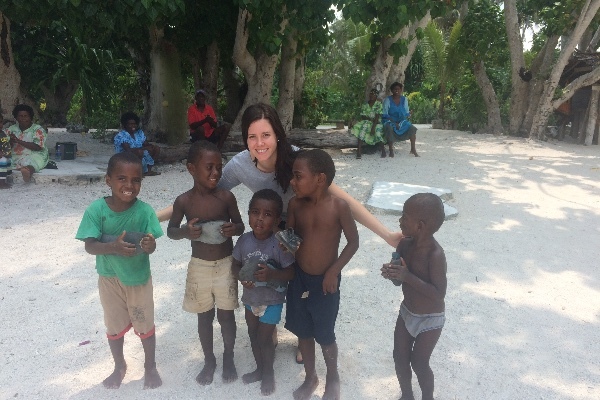 Luke and I travelled to Vanuatu in November 2016 and saw how little they have and since then have wanted to help. Tanna Island is a small island in Vanuatu that lacks everyday medical assistance and supplies. They have a population of approximately 20,000 however currently do not even have a doctor on the island, and only has a very basic hospital with limited supplies and health care professionals. The island is always one of the last to receive resources and assistance, and was also one of the worst hit areas during the cyclone in 2015. We are going over on an organised trip through the Bridging Health charity to help the Tannese people for 10 days. We are running free health clincis daily, education programs, and also travelling to remote villages to provide our assistance. We would greatly appreciate if you could donate any money you can afford, whether big or small (even $5 can help!!) to help us cover the costs of the trip, buy our bedding to take over, and get supplies to take. 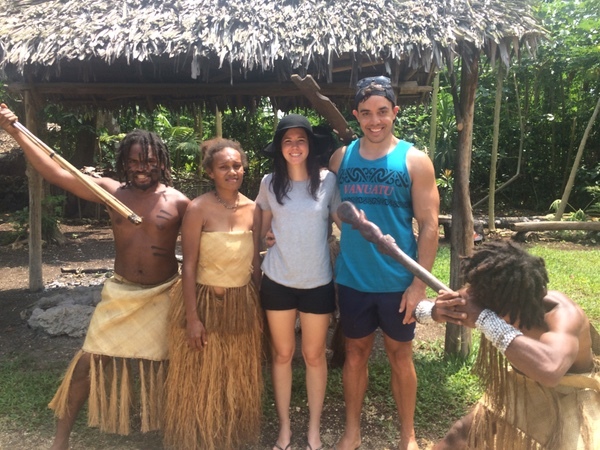 What makes this trip more special is that Tanna Island is where Luke and Juanita's family are from, so we are very fortunate to be given an opportunity to help the Tannese people and hopefully make a difference! Ps. Bridging Health are still looking for medical and non medical volunteers to join, and we are also needing any medical supplies too (whether out of date, sterile or not, every item will help). If you have anything you can donate, including linen, air mattresses, hand wash etc (the list goes on) please let us know. We are all very excited for the trip and cannot wait for May! Less than one month until we leave for Tanna Island to help local villages and schools! The shipping container full of medical supplies, clothes, linen etc was sent last week - a huge thanks to everyone for your donations!! Luke, Juanita and I have only $135 to raise till we have hit our $1500 target!! If you could spare any money no matter what dollar value it would be greatly appreciated!! Thank you again, the support for this trip has been amazing!! A huge thank you to those who have already donated! We are nearly a third of the way there! If we can exceed our target we will be so happy! Just a little update to the trip - I originally offered my ultrasound skills for the trip however there was no ultrasound machine on the island. I have managed to secure 3 ultrasound machines and probes for the trip, which is absolutely amazing considering the cost of these machines. They have been donated by lovely random people all over Australia and we are so appreciative! Wishing you well Naomi. How amazing to see those Mumma's faces seeing their babies!